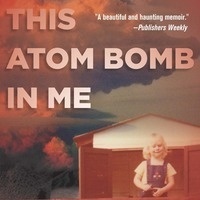 Join New School alumna Lindsey Freeman on the publication of her new book, This Atom Bomb in Me, which traces what it felt like to grow up suffused with American nuclear culture in and around the atomic city of Oak Ridge, Tennessee. As a secret city during the Manhattan Project, Oak Ridge enriched the uranium that powered Little Boy, the bomb that destroyed Hiroshima. The city was a major nuclear production site throughout the Cold War, adding something to each and every bomb in the United States arsenal. Lindsey A. Freeman is Assistant Professor of Sociology at Simon Fraser University and the author of Longing for the Bomb: Oak Ridge and Atomic Nostalgia (2015).